Lately, I’ve been a little tempted to doubt the goodness and mercy of God in the light of my many weaknesses and things I continue to struggle with in spite of firm resolutions to change for the better. And I realized so often I lack an understanding of the infinite nature of God’s love. If I was to win a million dollars in the lottery I might invest it or save it (with a few splurges here and there), but if I won a billion dollars I’d spend with abandon on myself and others because no matter how lavishly I tried to spend it I’d still have more than enough. Sometimes I’m tempted to view God and His love as if He’d be stingy with it in my sin or as if He could run out in the face of my misery. However, the truth is that His love is so great and so infinite that it can never be spent, never runs out, and is always available not just to the saints or ones who seem like they deserve it but to poor sinners like me. I hope this brief reflection helps you trust Jesus a little bit more as you remember His awesome love for you. 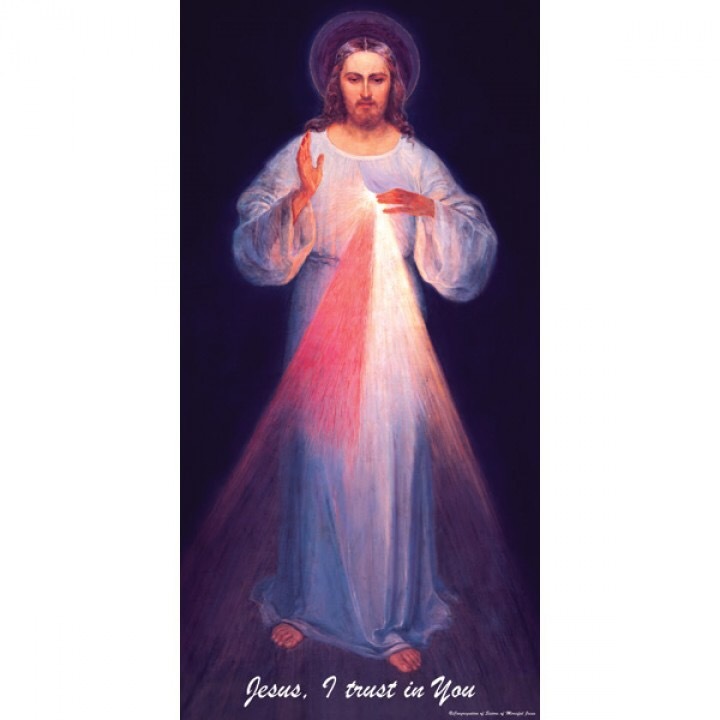 Wishing you a blessed Divine Mercy Sunday!